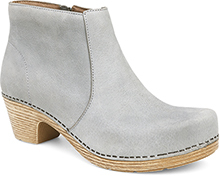 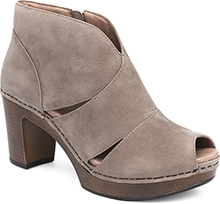 The Dansko Grey Milled Nubuck from the Delle collection. 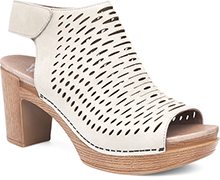 From its backless design to its in-fashion studding details, the block-heel Delle mule lets you tread new style territory. 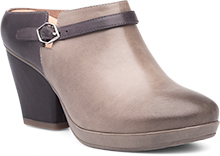 A contoured, cushioned footbed and adjustable strap furnish the legendary Dansko comfort.